hi all, got my hands on an ipd turbo performance cam and adjustable cam gear and I wanted to install them soon, but before doing so I have some questions that my research didn't exactly answer. (sorry in advance for noob questions). Do I need another chip or any tuning to run this cam? the car is +t and not a factory turbo engine and i'm sure that makes a difference but not 100% certain where. I read somewhere that 4*retard was "optimal" for this cam on dyno, but i've also seen many recommending to just run it straight up and go from there - can anyone with a similar setup/experience chime in? - or am I just better off going straight up and trying to dial it in on my own? Yes, 20 min at 2k sitting in the driveway. It's fine. I've always changed the oil afterward also, but I'm kinda old school and this may not be technically necessary. Dyno testing that I have done shows no measurable improvement in changing cam timing plus or minus 4 degrees. I've never tried beyond that. A crap cylinder head is a crap cylinder head. You do not NEED a fuel or ign chip to run this, but you certainly SHOULD tune it for optimal result. Last edited by shoestring; 02-07-2019 at 08:13 PM.. I run my cams advanced a bit. I run it six degrees advanced on my 93 wagon which is where I leave it. Having run a enem V15 in my n/a LH2.4 wagon without a chip and then with a chip. I can tell you it's well worth it to get a chip with more optimal programming on it. Changing the cam is one of the best changes you can make on these engines. Going from a T cam to a V15 completely changed the engine to a wider much more useful powerband than the stock cam has. No real loss of mileage either. Not that mileage is all that great. lol. If it's the ipd adjustable cam gear I would be wary of the cam timing actually being where the gear says it is. Best to install it straight up unless you have dyno tuning and/or cam measurement planned so you're not working in the dark. spec from Enem is 1mm of lift on the intake at crank tdc, cam lobes pointing down. Roughly -4 degrees usually puts you there. Yes, your break in is about 20 minutes of stationary running keeping the engine about 2000 rpms for the full 20 minutes. After that you are ready to enjoy the cam. Thanks for the info everyone. Sounds like that is indeed the preferred method for break in so I will make sure to do that. The head has been cleaned up but not shaved any, and it just has the standard headgasket. I guess I’ll start with it straight up and tinker from there. It’s interesting how some have had success with adjusting the cam timing while others didn’t.. Also I have seen the v15 or enem cam mentioned quite a bit what’s the story with this? Fuel mileage isn’t a big concern (disregard my proudly shared fuelly info) I know you gotta pay to play! Yes it is the adjustable IPD cam gear - are these not good quality parts? As far as chips go, i have seen TLAO pop up a bunch of different places here on TB - is he still making those? Or is there another reputable source? 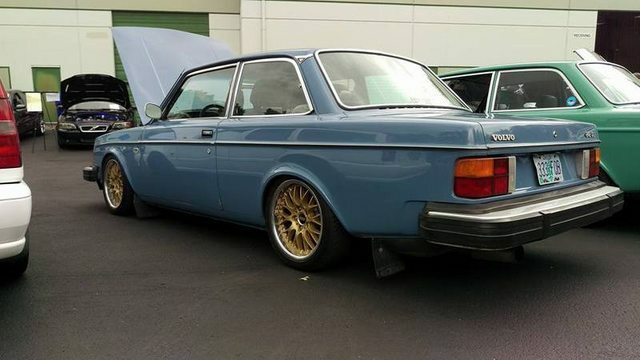 I’m in central Illinois I don’t think there are any Volvo experts / tuners around for hundreds of miles. I bought the enem V15 because long ago the Mike Aaro phase one cam was based on the enem cam. I like the enem cam better because it is less of a compromise than the ipd cam. What I mean is the turbo version is very oriented to a turbo engine with a 112 degree lobe angle. The n/a version of the enem V15 is n/a oriented with a 109 degree lobe angle. The ipd cam is a bit of a compromise with a 110 dgree lobe angle. All of these are a mild street performance cams with smooth running, good low rpm torque as part of the design. If you really want to go fast you want a more high performance cam like a V!6 or one of the others with more duration and lift. The next setup I have to use will have a V16 turbo grind in the head. Most of the cams that they make can be a turbo or n/a grind. For chips the lost art of or sbabbs can provide you with performance upgrades. Look into the ezk chip thread so you know what to do with the ignition box. Okay I gotcha, the only other cams I looked into were the RSI ones a couple years ago but I was just too busy for the car and dropped off for a while. Are your cars +T or factory turbos (and does that make a difference tuning wise or?)? Going fast is the goal, maybe down the road if I stick with the b230 ill check out the V cams - is the manufacturer "enem"? Thanks for the chip info - can't even remember which computers I have right now so i'll do some digging there and try to get in touch with one of those guys. I did happen upon a thread where someone was doing drop-in Micro/Mega squirt stuff - anybody got experience here? I have two cars with enem V15. Turbo version in my 82 turbo which is a B21FT. The other is the n/a version which is in my 93 wagon a LH2.4 B230F. We gots da lope. Not bad but it's there. I use a diesel right side mount and stock on the left so it's a firm motor mount as well. Nice! Enjoy making it a better engine. How is a iPd cam identified? Are you asking in terms of not purchasing it from IPD directly and if someone is selling it on here? There should be some type of identifier on the slotted end. I know there used to be markings there. I thought there was, but went in the garage and checked mine. It's blank. Purchased a few years ago. I know that oem cams most have a letter stamped in the rear. I have a few that don't. So how the question is how are they identified? I think I have both n/a & turbo. The “turbo” cam I just installed didn’t have any markings on either end of it.. just the box.. wait what did I even put in my engine!? The ipd turbo cam seems pointier than any factory cam I've seen.